A quote, attributed to Microsoft founder Bill Gates, says, “I will always choose a lazy man to do a hard job because a lazy man will find an easy way to do it.” It’s a good life lesson – people who seem to be lazy will often find the loopholes that smart people don’t think they need. And life hacks are precisely those loopholes: “lazy” ways to make life that much easier. Here are some of the best. Anyone in charge of their household’s finances knows how big of an expense food purchases are. Even though Americans spend less on food than they used to, it’s still money you don’t want to waste. This is especially the case when something as silly as the vegetables you bought going bad without your family having had the chance to eat them. Sick of it? 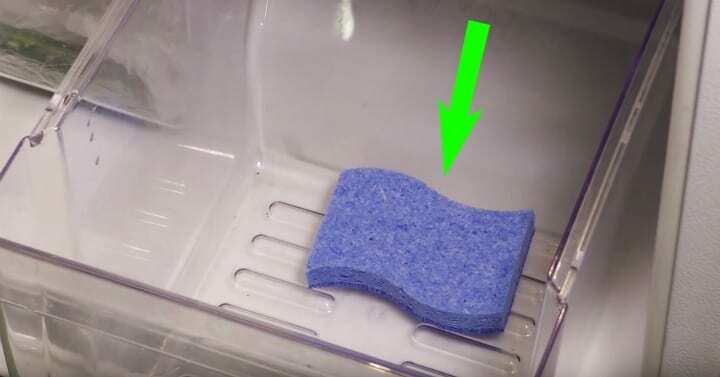 Just stick a sponge in your vegetable drawer. It’ll jump in front of the moisture bullet and absorb it – instead of your greens – giving you more time to enjoy them. Keys, bills, letters, whatever – everyone has those simple items that seem to pile up all over the place and just add clutter to our already cluttered lives. 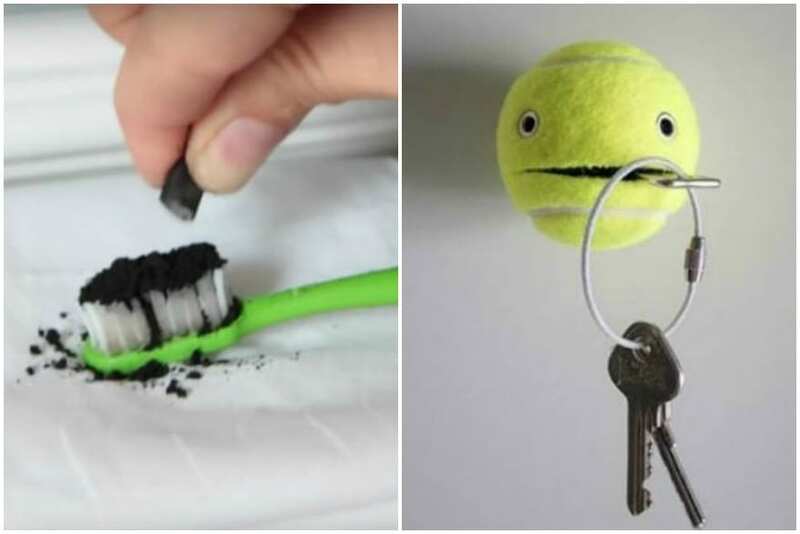 The solution couldn’t be simpler, and has the added bonus of adding a neat design touch to your home – glue a suction cup to a tennis ball and stick it to the wall. 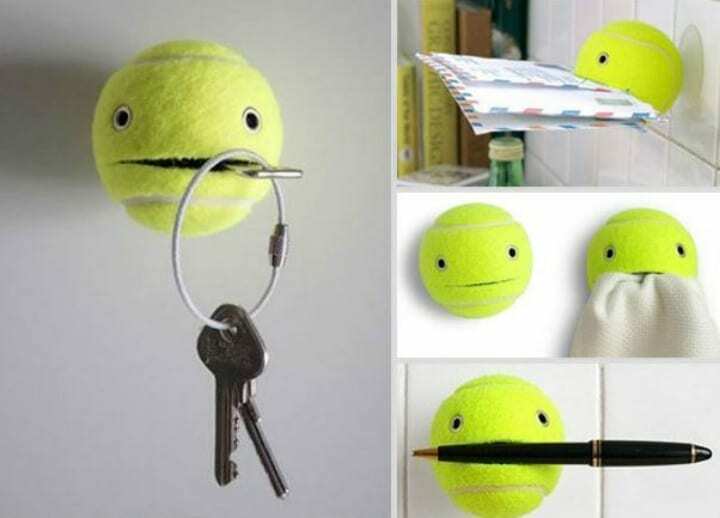 Glue some googly eyes on it for laughs and cut a horizontal slit into the ball. You can stick anything from envelopes, to keys, and even pens in it. Okay, we know this one seems a little gross, but bear with us and we promise it’ll be worth it. We don’t need to talk too much about how much bananas are good for you. They’re full of potassium, Vitamin C, magnesium, and other nutrients your body needs – but did you know the peel can be just as useful? 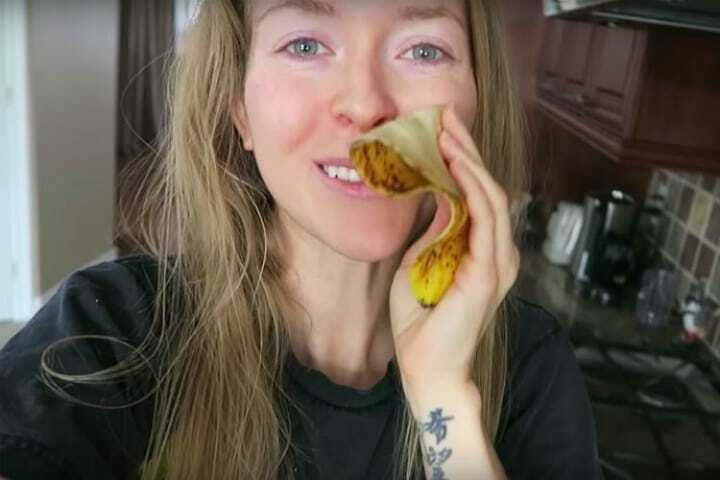 Next time you eat a banana, try rubbing the peel on your face. It’s good for anything from clearing up acne to moisturizing your skin, and even helps ward off wrinkles. 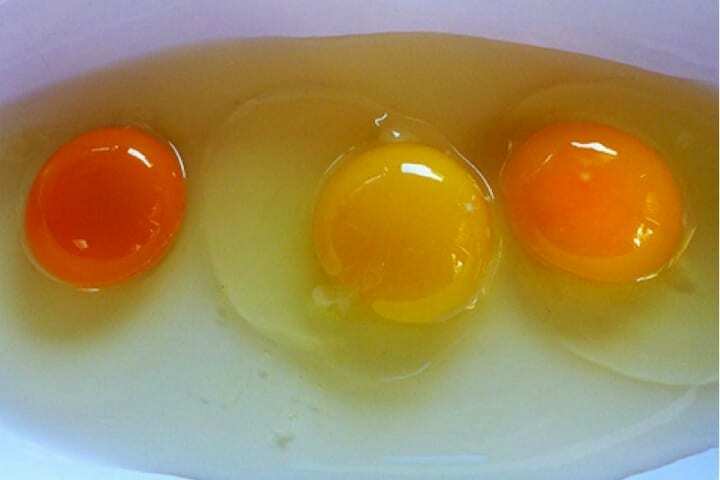 We’re willing to bet you never knew you could tell incredible amounts of information about the health attributes of the egg you’re about to eat – and even about the chicken who laid it – just from looking at the yolk. The shape, tone, and thickness of the yoke are all indications of how tasty the egg is – and how healthy the chicken who laid it was. A lighter yoke likely came from a chicken that never saw sunlight. In the below picture, then, the yoke on the left is the best. Even though we usually can’t see them, our feet take a serious, daily beating. The problem is pedicures and other cosmetic treatments cost money, which is sometimes tight. Not to worry, we have just the thing: fill up a container with some alcohol-based mouthwash, and add half a cup of vinegar and two cups warm water. Soak your feet, and not only will they be smelling minty fresh, but they’ll also be softer and smoother – and the strength of the mouthwash will get rid of dead skin and calluses. 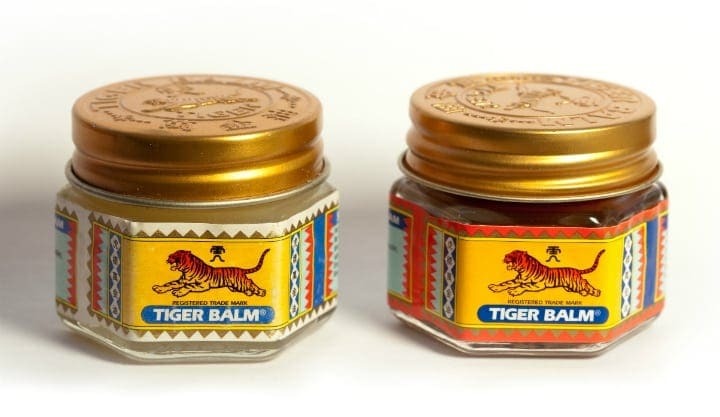 Tiger Balm, first brewed by a Chinese herbalist in the 1870s, is a well-known remedy for various muscle aches, but it can actually do so much more. Just smelling it can clear up your sinuses – or stuffy nose – not to mention get rid of headaches or stomach pains. Nothing hurts? Glad to hear it, but you can still use Tiger Balm to cleanly get stickers and chewing off of things. Still not convinced? It can even get rid of pests and insects as well. There are few things worse in this world than lukewarm wine. It can really ruin a nice evening with friends. Cooling with ice cubes doesn’t work, because they’ll just water it down. Reusable ice cubes do exist, but that’s just spending more money than you have to. The solution is much simpler – buy a whole thing of grapes and throw it in the freezer a few hours before you entertain. 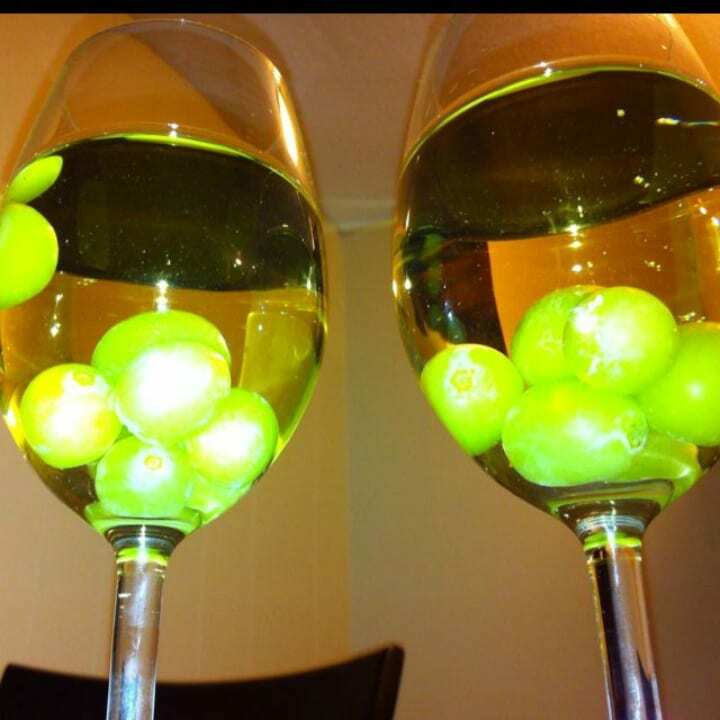 Then use the frozen grapes to chill down the wine – they won’t dilute and you can eat them later! Don’t skip this entry – it’s not about using toothpaste on your teeth. 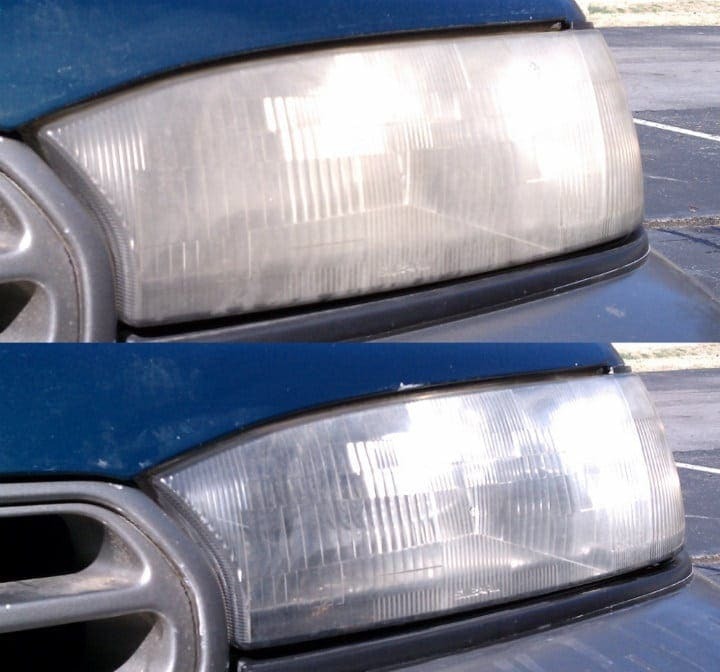 Toothpaste can actually give any number of things – most famously your car’s headlights – a nice, new sheen without spending too much. The nice thing about it is that it’s good for other parts of you as well – some people swear by toothpaste as a skin cleaner, as it’s said to be able to get rid of blackheads and other blemishes, and possibly even wrinkles. 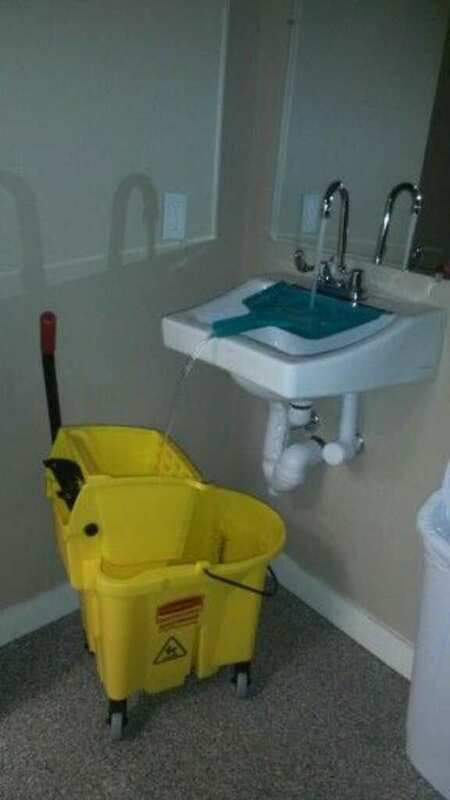 Scrubbing your entire house’s floors is already pretty terrible work, and it can easily be made that much worse if you get water all over the place just trying to fill the bucket. The good news is you don’t have to. If your bucket just won’t fit in the sink, place it on the floor and put a dustpan – preferably clean – in the sink instead, with the handle sticking out. Turn on the water, and watch as it directs water straight into the bucket without fuss or spills. Happy scrubbing! 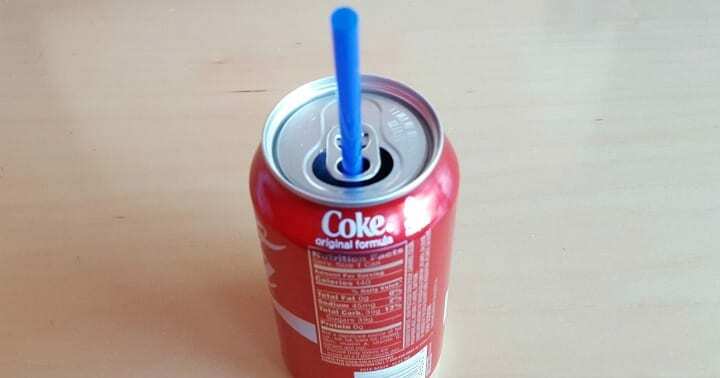 You probably shouldn’t be drinking Coke and other sodas to begin with, but this isn’t an article about judging your lifestyle, it’s about cool life hacks, and this one definitely is. You know those tabs you pull to open your soda cans and then forget about? Well, time to remember them – if you twist them back around to be above the opening, the big hole in them can hold your drinking straw in place, so you don’t have to hunt for it with your mouth and look silly. You’re welcome. You really should be flossing your teeth every day, but this article isn’t about grooming habits either. 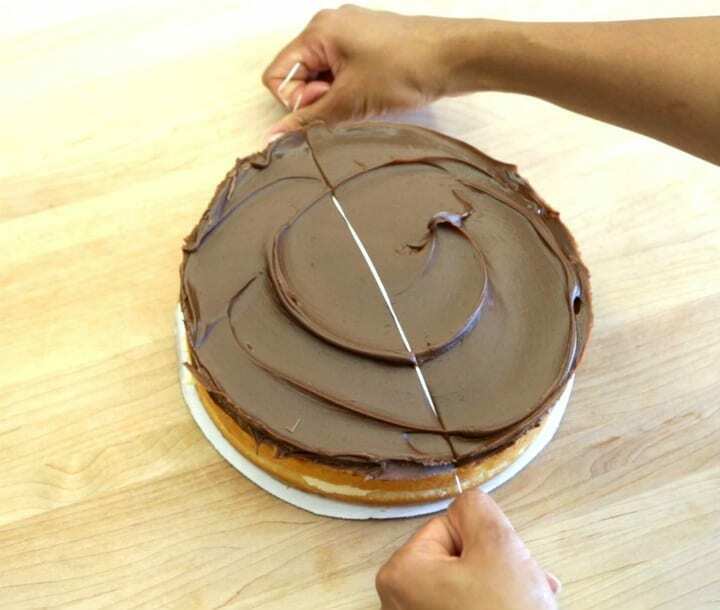 So here’s another thing you can do with dental floss – use it to cut cakes or other delicately pastries that may get all messed up if you take a knife to them like a barbarian. No mess, no frills – just press the dental floss onto the cake until it goes all the way to the other side. Your tablecloths will thank you. If you have a favorite pair of summer shoes, we’re willing to bet they’re made of canvas. You can wear them for some months of the years, but then when winter comes, into storage they go, right? After all, there’s nothing worse than being caught in the rain with canvas shoes, which’ll get your feet soaked in no time. 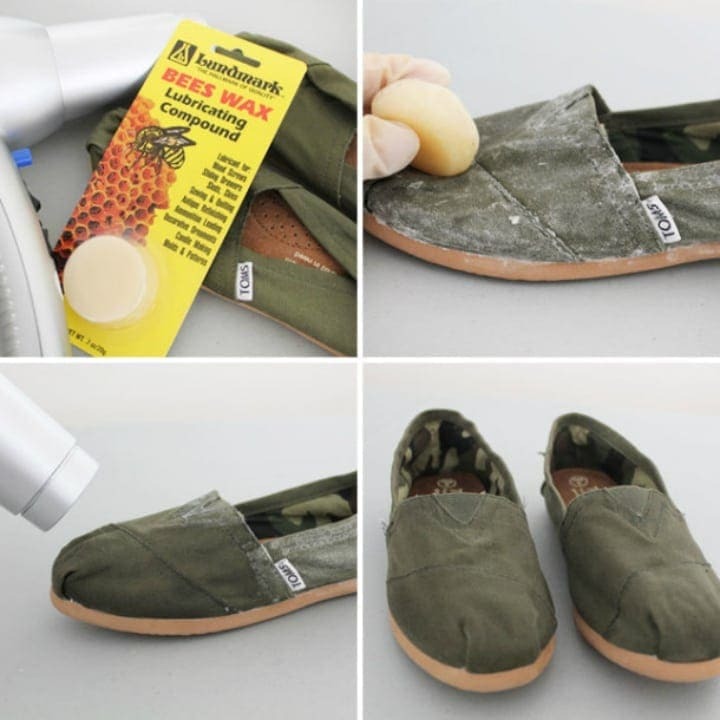 You don’t have to swim in it – just rub some beeswax on those bad boys, and thoroughly dry them with a hair dryer. Guess what? Your shoes have just been waterproofed. 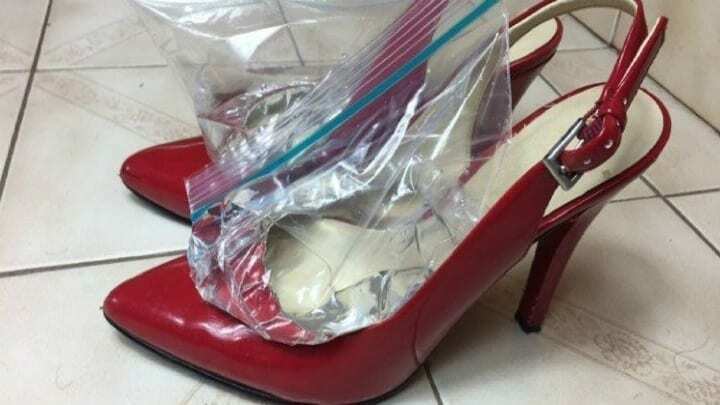 While we’re on shoes, almost every woman has a favorite pair of shoes that’s drop-dead gorgeous but absolutely agony to wear, as they’re far too tight. Never fear, ladies – the solution couldn’t be simpler. Just fill up two Ziploc bags roughly halfway full of water and then toss them in the freezer. The water will turn to ice, obviously, and will make those stilettos just a little comfier to wear as the ice will expand the shoes, giving your toes a little more wiggle room. We all know manure can used to fertilize plants, but did you know something else entirely – but still sort of in the same neighborhood – can help you grow your own plants? That’s right, when you’re done with a roll of toilet paper, take the brown paper roll that’s left and cut it about midway. 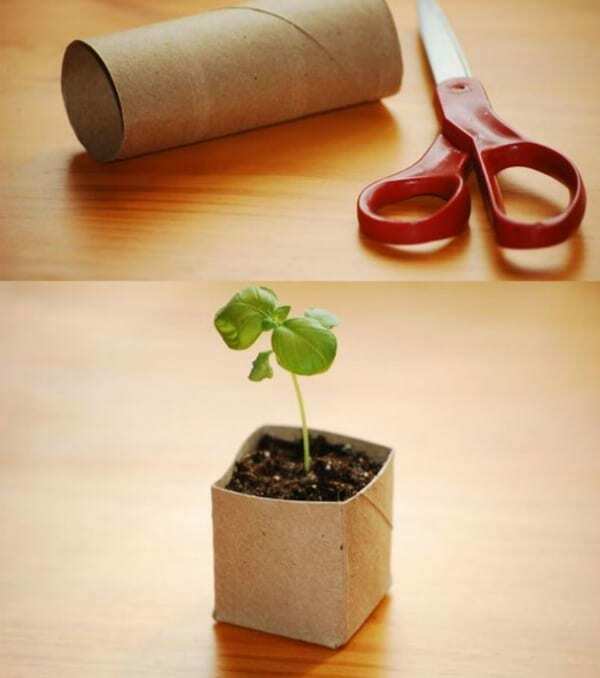 Then fold the bottom end inside – like in the photo – fill it with a little earth and seeds, and voila! Your very own eco-friendly, biodegradable seed starter, with zero dollars spent on buying a pot. At this point, we’re thoroughly convinced baking soda is basically magic – is there anything it can’t do? 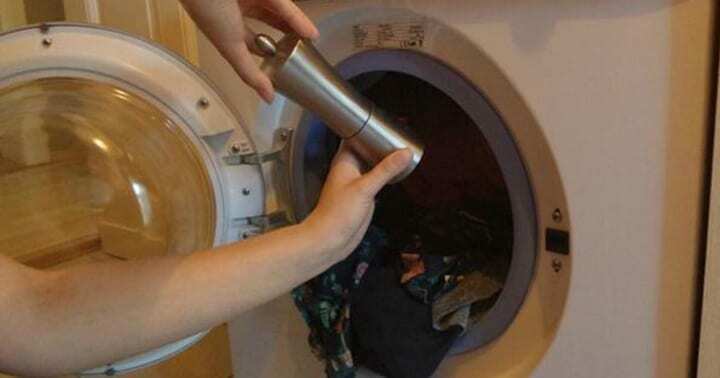 Here’s one thing is certainly can do – clean your washing machine. You may not realize it, but your washing machine’s drum is the perfect breeding ground for bacteria and other nasty things we don’t want to think too much about. Think cleaning it is a fuss? Think again. 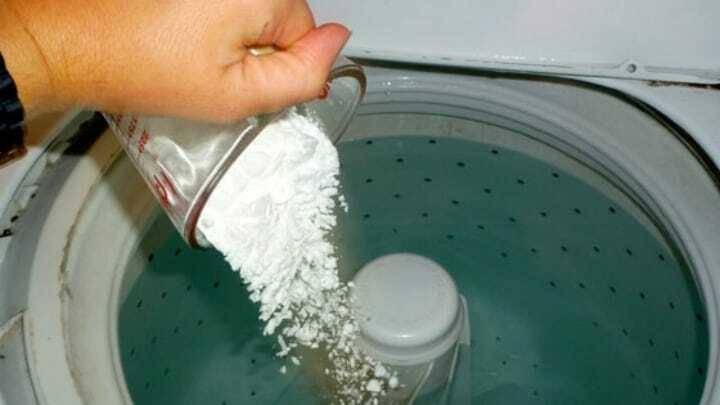 Just put baking soda and vinegar into the machine’s detergent slot and start it – without clothes inside. It’ll come out squeaky clean. You know how your best silver cutlery will invariably lose some of its shine over time? Well, you can bring back its luster, and it couldn’t be simpler. 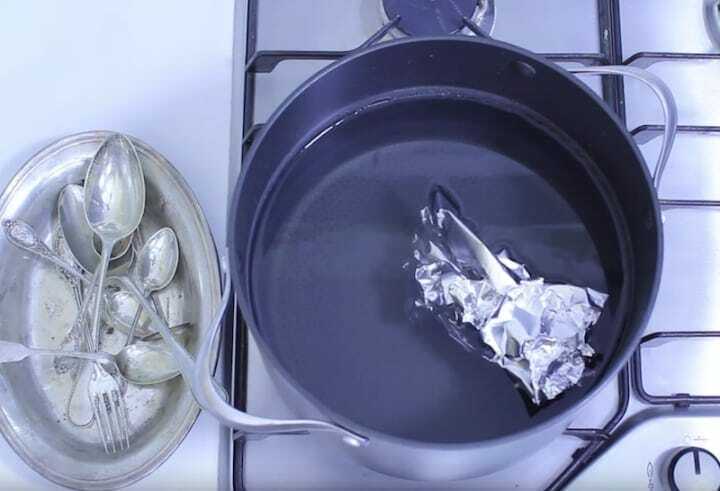 Fill a pot full of water, add some baking soda (there it is again), and a crumpled up piece of aluminum foil. Let the water come to a boil, and then add whatever cutlery you want to shine. Just keep watch to make sure the cutlery doesn’t actually touch the foil, and before you know it it’ll be good as new. Do your teeth look a little on the yellowish side? Fear not – and no, this won’t necessitate you going out to buy any pricey teeth whitening kits. All you need is some activated charcoal capsules and a toothbrush you wouldn’t mind ruining for normal use. 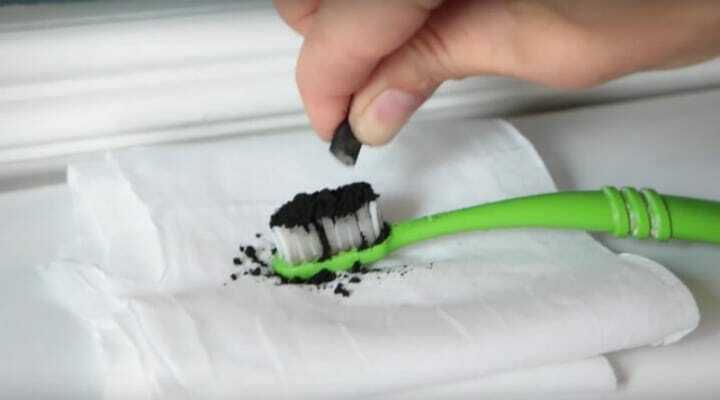 The following steps are easy-peasy – wet the toothbrush, open one of the capsules, and sprinkle the charcoal on it (just be careful not to make a mess – it stains clothes). Brush your teeth with it normally, and your teeth will be white in no time. Now, we know what you’re thinking – the only reason to wear aluminum foil is to keep aliens or the CIA from scrambling your brainwaves, right? Well… Okay, that’s a pretty good reason, but it also has another use! 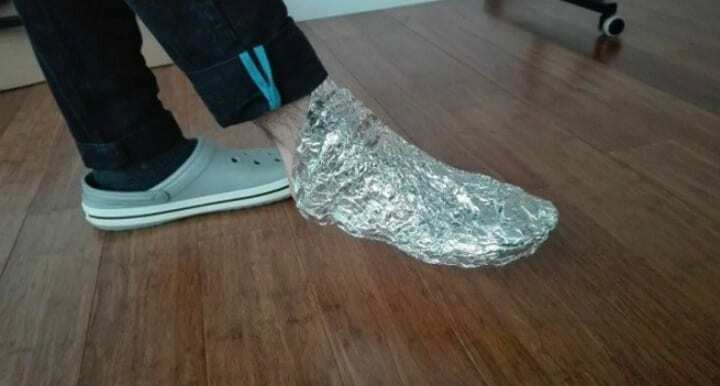 Chinese and Russian healers both swear by it, claiming that wrapping certain parts of your anatomy – like your feet – in foil, opens up the body’s energy pathways, or meridians. That purportedly eases aches and speeds up healing, and even soothes burns and gets rid of any number of skin issues. This may appear to be one of the strangest items on this list, but we’re not actually crazy. Don’t season your clothes so they’re nice and tasty – do it to give them their colors back! We’ve all been there – colorful clothes turn completely faded after only a few washes. Just put a spoonful of black pepper – along with laundry detergent, naturally – and start the machine. Generally, detergents leave residue on your clothes that makes them look faded. Pepper acts like sandpaper, scrubbing such residue off, leaving them looking brand new. We swear we’re not making this one up, and you’ve got nothing to lose by trying it. 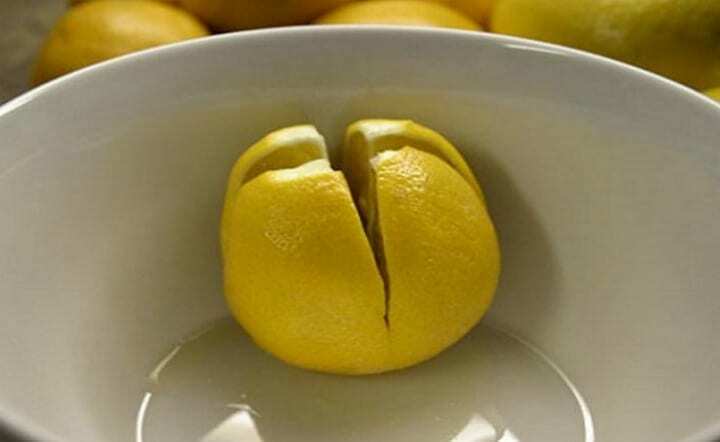 Before you go to bed tonight, cut the top off a lemon and then partly section it, not going all the way through. Place it in a bowl next to your bed, and let the Sandman do the rest. It’s pretty well known that lemon juice is an antiseptic, but the lemon’s aroma can also soothe your nerves and improve your mood. Just cut the lemon, and let it chase those blues away. Washing dishes is pretty much the worst, and not all of us are blessed to have a dishwasher to do that job for us. 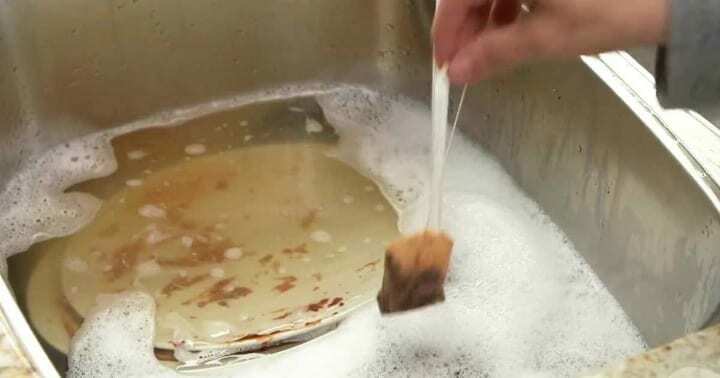 Here’s a nifty trick to make your scrubbing as painless as possible: put all of your dirty dishes in the sink and fill it with water, then add no less than three tea bags and go to bed. When you wake up the following morning, the tea will have broken down all the grease and grime, leaving the dishes super easy to clean. Since we’re on the subject of cleaning items used in food preparation, how about frying pans? The grime seems to accumulate on them like nobody’s business, leaving you with some disgusting pans. 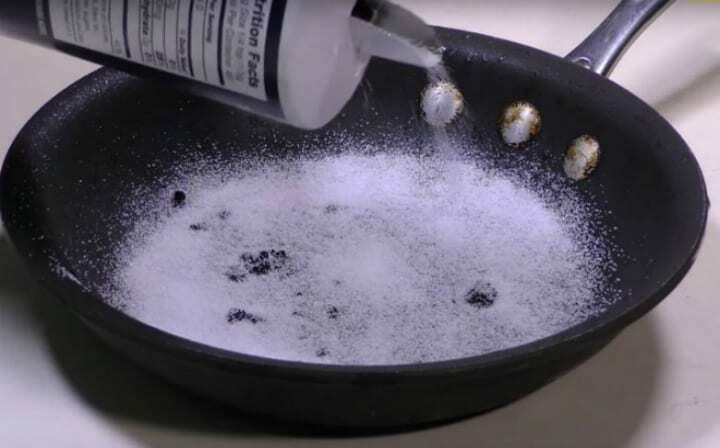 Easy fix – pour regular table salt onto the pan and place it over a flame, letting it heat up. After a while, take it off and wash it, letting it dry. When it does, you’ll see the difference. Use just hot water and a sponge on non-stick pans, by the way, as dish soap will ruin them. This one might hit a little too close to home – literally – for some of us. Anyone who uses a hammer regularly would certainly be able to attest as to how tricky it can be to drive a nail into the wall without smashing your own fingers instead. 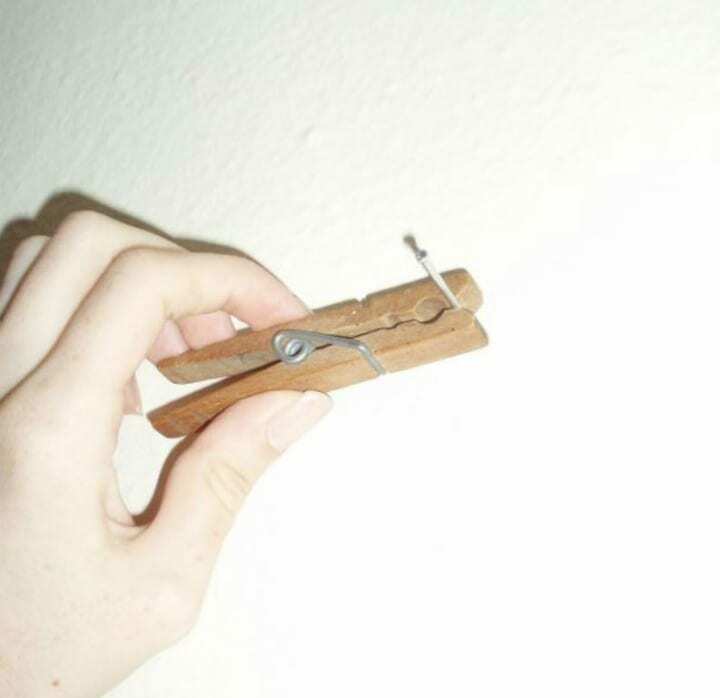 Luckily, you really don’t have to – just use a clothes pin to hold the nail in place, keeping your squishy fingers a safe distance away, and hammer to your heart’s content.